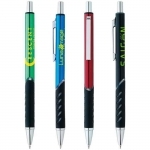 QUALITY Pens at a GREAT Price! 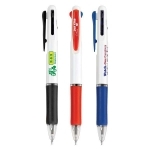 These Personalized pens can be used as giveaways or gifts. When selecting a marketing strategy, many times cost is a factor. 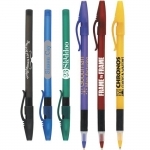 Promotional pens and items come in a wide assortment of styles, materials, shapes, sizes and colors. You can find one that fits your needs. 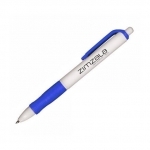 With budgets getting tighter and tighter using personalized pens can be a great cost effective marketing tool. Because of their low cost, it makes it possible to give away pens in large numbers. 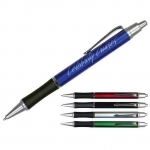 The more pens in circulation the greater the chances of customers finding your business or products. The more customers exploring your business mean the greater potential for sales. That creates the potential for a great return on your advertising investment. 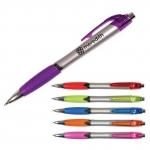 When considering a Promotional Pen for advertising or as a marketing tool, it is important to remember that pens are used everyday. Thousands if not millions of pens are used. 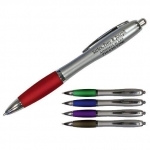 Having your message on pen in someone’s hand, means your message is getting noticed. Having your information at people’s fingertips is a key to getting business. With your information in front of them and readily available, it is likely they think of your business when the need arises. This is great for new business as well as repeat business. 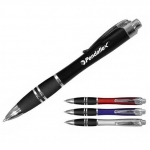 Plus with the low cost of a personalized pen, it allows you to giveaway more. Even use them as gifts. 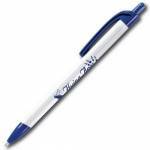 People may have a pen in their house, office, car, pocket or purse. Your information is always within grasp. 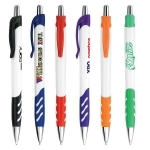 A Promotional Pen can be personalized with a custom imprint. 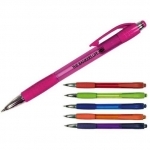 The amount of information or imprint area varies from pen to pen. 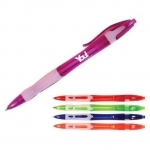 Some pens have larger areas and allow for more information. 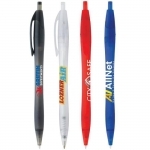 Things that can be imprinted on a pen include your logo. Logos are a great way to build brand recognition. You could also include you business name, phone number or 800 number and or fax number. For some business a street address may be appropriate. Some include an e-mail address. And very popular today is the business URL or web address. The URL or web address gives people access to all of your information on your business website. Some information is more talyored to specific businesses. Often time keeping information to a minimum actually helps emphasis key points like an 800 number or a web address. 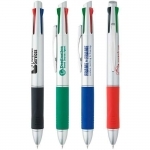 Using Promotional Pens as part of your advertising or marketing plan is a cost effective way to market your business. 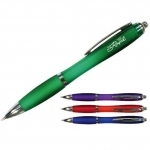 Browse our are large selection of pens and find one that right for you. You appreciate our friendly services and fast production times.